The Isle of Man is an island located within the Irish Sea. It is geographically situated right in the middle of Scotland, Ireland, England and Wales. However, Isle of Man is neither a member of the European Union nor England. It is a territory of the British crown, though, so the people living in the Isle of Man can be referred to as British citizens. Travel to the Isle of Man to bear witness to a beauty that offers historical, natural and well-preserved attractions from the Medieval era. 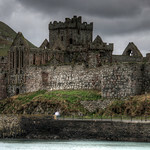 The history of Isle of Man saw an invasion of the Celts to the Vikings and then the Scots took control of Isle of Man. It was during 1764 when the British crown gained control of the Isle of Man although the country was never incorporated into the United Kingdom. Today, only half of the population in the Isle of Man are native folks while the other half are immigrants (mostly from the UK). In term of government rule, the British crown represents Isle of Man in diplomatic and defense ministries. 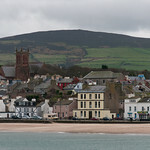 When it comes to housing and immigration, however, Isle of Man acts independently from the UK. The low tax rate in the Isle of Man had attracted an offshore financial sector. This has accounted for the majority of the country’s GDP. Other crucial factors in the Isle of Man’s economy include the tourism and light industry sectors. Meanwhile, fishing and agriculture are no longer as important as they used to be. 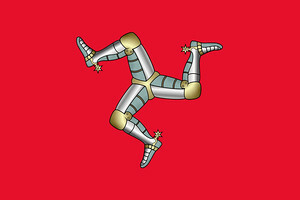 In 6500 BC, Isle of Man became an independent state when it was separated from Britain and Ireland. This was prompted by a natural phenomenon that saw rising sea levels due to melting glaciers in the Mesolithic era in Britain. As for the record of settlement in the area, the earliest record can also be traced around this same era. During this time, the early residents of Isle of Man survived by hunting, fishing, gathering, and more. This was supported by the many tools that were excavated near the coast such as those made from bones or flint. Much of these tools were showcased at the Manx National Heritage museum. By the Neolithic era, Isle of Man transformed into a farming community. It was also during this time in Isle of Man’s history that megalithic monuments are built. By the Iron age, the Celtic cultural influence started to infiltrate into the history. Meanwhile, the Irish invasion also took place during this time and they had the most influence on the formation of modern Manx language. 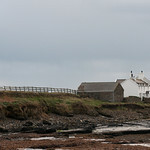 Connectivity: There are several cafes, restaurants, and pubs in Isle of Man that offer free Wi-Fi. You can also get your own from your hotel. Another great way to stay connected when you travel to Isle of Man is to purchase a local SIM card. There are two major telco providers in Manx Telecom and Sure Telecom. You can get a local SM card data package for as little as IMP5 (US$6.50). International Airport/s: The Ronaldsway Airport is the main international airport for flights that travel to the Isle of Man. 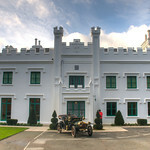 Visa Required: The visa policy for travel to the Isle of Man is the same with that of the UK. International Driver’s License Accepted? 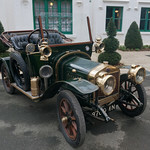 You can use your foreign issued driver’s license to drive in the Isle of Man. There is no need to carry an international driving permit. Crime: The overall crime rate in the Isle of Man is very low. However, there was a significant increase in crime rates (rising up to 50%) over the past three years. The rate of violent crimes remains to be highly rare, though. You can walk around alone at night or day and feel safe. Electrical Adapters: In Isle of Man, the electrical voltage used is 230 volts with an electrical frequency of 50 Hertz. Rail Travel: There are heritage railways operating in Isle of Man: Steam Railway, Snaefell Mountain Railway, and Manx Electrical Railway. These rail networks can take you to any destination in the country. In fact, traveling on the rail network is the recommended method of getting around the country. The best part is that most of railway stops are located near heritage sites and famous tourist attractions. 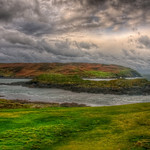 Car Travel: Driving by ca is a great experience when you travel to Isle of Man. The country has an impressive road network. It is also recommended for those who want to explore the many destinations in Isle of Man on their own, or those having an extended trip. But you can also purchase unlimited travel passes that can be used on buses only. It is recommended for getting around on the major cities. Trivia: Isle of Man offers some of the best night sky views in the world. This is due to the low level of light pollution in the island. The Isle of Man is credited for introducing many popular dishes. Historically, the national dish of Isle of Man is Priddhas an’ Herrin’. This dish is made up of boiled potatoes and herring. It became popular since it was the sustainable choice for farmers and fishermen who worked on the island. Aside from this famous dish, chips, cheese, and gravy is another popular dish among the locals. In fact, it is widely available in many fast food outlets throughout Isle of Man. Some of the most popular ingredients used in cooking for Isle of Man cuisine include honey, Manx cheese, and Queen scallops. Indeed, a distinctive quality of its cuisine is its use of locally sourced ingredients to ensure its freshness. Ice cream is also popular in the Isle of Man and they use ingredients also produced within the country for making unique flavors. Some of the popular dishes in the cuisine include Bonnag (a traditional scone served in tea shops), Manx kippers (slowly smoked in oak chips) and Loghtan Lamb (cooked using the meat of a native Manx Loghtan sheep). In terms of beverages, Isle of Man is known for their Real Manx Ale, Kella whiskey, and Manx vodka or gin. 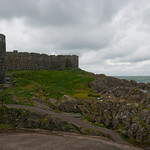 Peel Castle – This majestic fortress is a national heritage site in the Isle of Man. It is located at St. Patrick’s Isle with an overlooking view of the Peel Marina. The magnificent and well-preserved walls of the fortress tell a story of several centuries old. It is open daily for tourists from 10 AM to 4 PM. 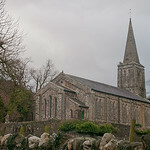 Peel Cathedral – The Peel Cathedral, also known as the Cathedral Church of Saint German, is one of the parish churches in the town of Peel in the Isle of Man. It was built during the 19th century and was made into a cathedral in the 1980s. 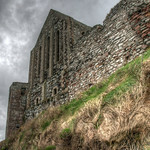 The original cathedral was located inside the grounds of Peel Castle. However, it fell into ruins during the 18th century. It was finally rebuilt during 1879 and was completed in 1884. Mull Hill – This is a small hill in the Isle of Man noted as a prehistoric site lauded for its archaeological and visual importance. 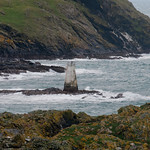 It is located at the eastern side of the Island within the parish of Vale. This is where the Mull Circle or Meayll Circle is located. 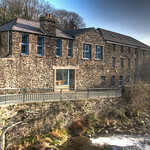 Leece Museum – This museum was established in 1984 and showcases artifacts and emblems depicting the history of Isle of Man. Majority of the historical data, however, refers to the history of the town of Peel. 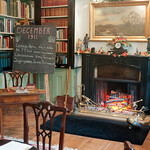 The museum is open from 10 AM to 4 PM. 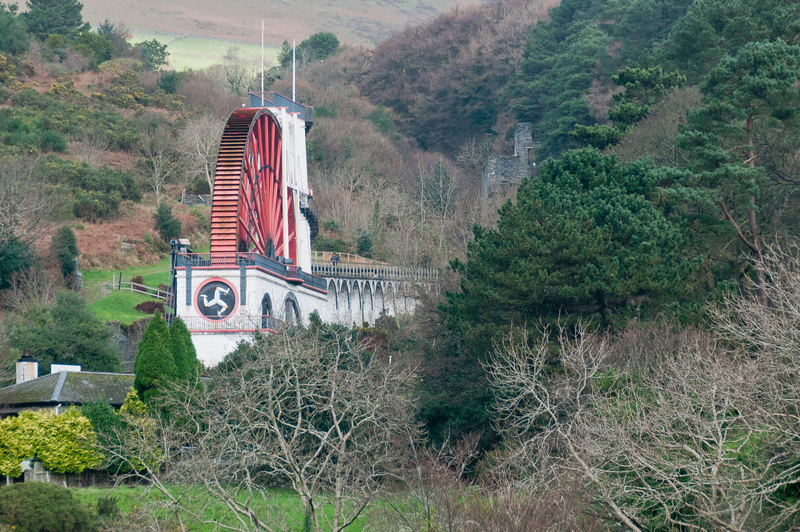 If you are a history enthusiast, this is a must-visit if you travel to the Isle of Man. Castle Rushen – This historic castle is built in the historic town of Castletown. It is recognized as a national heritage site in the Isle of Man for being one of the best preserved medieval castles in the country, as well as the world. As of now, there are no records as to the exact date that the castle was built although historians claim that it could have been around since the 1200s. Rushen Abbey – This abbey is located in Ballasalla, Isle of Man. This abbey served as the residence of monks from the Savignac order. Eventually, it fell under the Cistercian control and has since been dissolved. The Abbey remains as one of the most visited tourist attractions in the country. Walking on the Isle of Man (Cicerone Walking Guides). 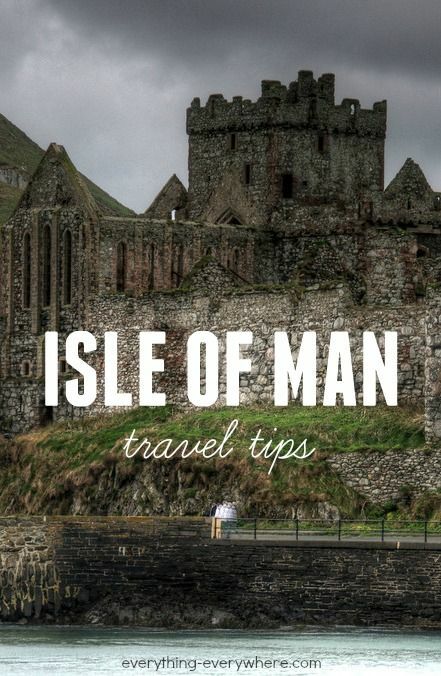 This guidebook is a must-have for adventure travelers in Isle of Man. You can use this as a guide to know where to hike and the best coastal views to explore. 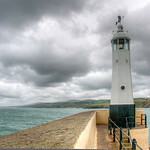 Isle of Man Travel guide, and Tourism: Culture, Environment, Locations, People, Sights, Business Information. Written by Samuel Ash, this book is your guide to learning more about the crown jewel of the British Isles. It is filled with many beautiful attractions of its own, plus a rich history and culture. 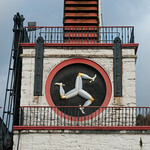 All Round Guide to the Isle of Man. This guidebook is a can’t miss, especially for those who will travel to Isle of Man for the first time. It answers all the questions you might have to prepare for your trip. Philip’s Isle of Man: Leisure and Tourist Map. This leisure and tourist map is one of the essentials you should be packing when you travel to Isle of Man. Isle of Man (Landmark Visitor Guide). This revised edition contains all of the important information you need to know when you travel to Isle of Man, such as famous landmarks you need to visit.